You're ready to start carving your mark into the dirt, wood, and rock. Everything is still new, but you're discovering more about the wonders of mountain biking everyday you hit the trail. 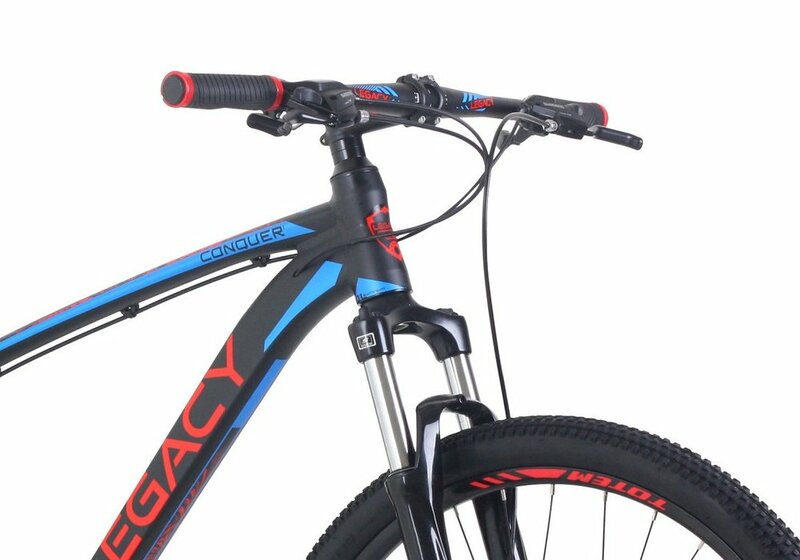 Amazing climbing features like the 29 inch wheel set are going to help you elevate your ride level, while mechanical disc brakes are going to keep you safe on the way downhill.The Conquer 1 was designed with the features a beginner mountain biker like you needs to shred in the most affordable way possible.